Hello friends..happy Monday to you all! As I have said many times in my weekend in review blog posts that I like Mondays simply because I see the day as a fresh start to a new week. 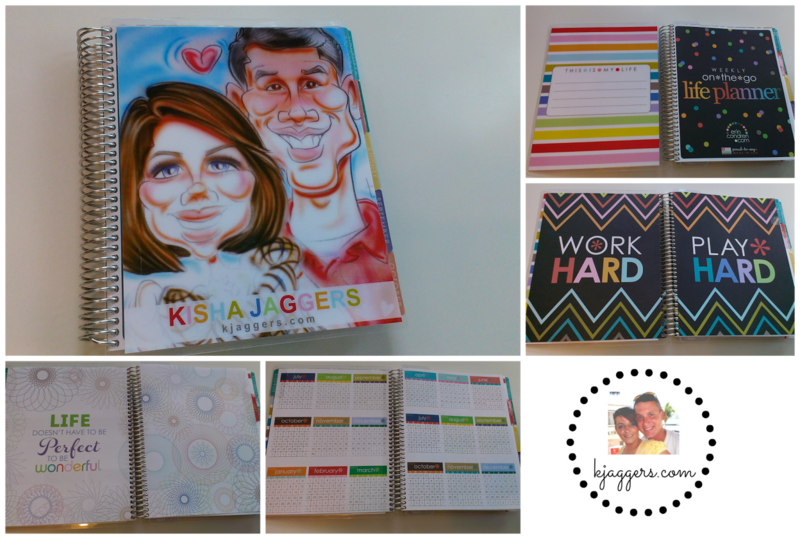 So I thought on this beautiful day I would share with you my new Erin Condren 2014-2015 Life Planner. I have been a planner/calendar addict for many years. A year or so ago I discovered this life planner and had to have one. I placed my order and got my first ever Life Planner. I started using it for just my blog and youtube content but I loved it so much that I wanted to use it for my life to. So that lead me to changing up everything. The new 2014-15 Life Planner just came out and I am sharing my planner and accessories for those of you who are interested. Not to mention a pretty sweet giveaway! All the details are in the video and there are a ton of pictures and detailed information below on the planner itself. And the entry form for the giveaway with all the details! Let me first say, I love the packaging. I think it says a lot when a company takes care with the packaging. I was sooooo happy to finally open the box! There are a ton of beautiful covers you can pick from but for me, I like the idea of a personalized cover more than a stock cover. 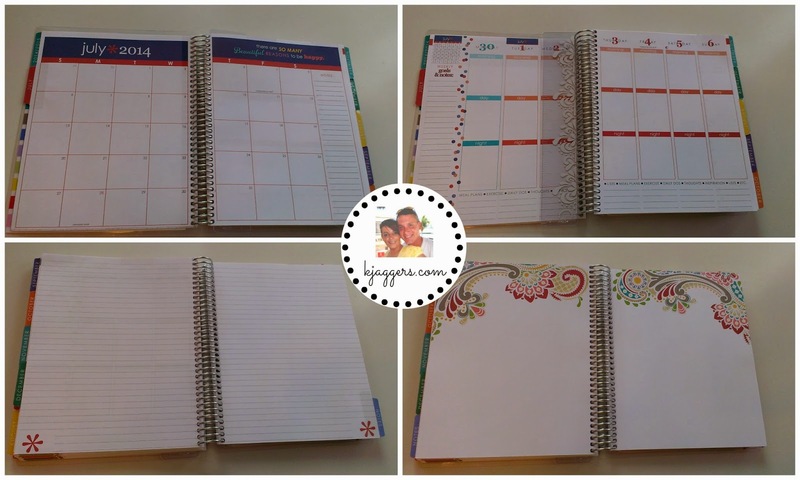 The first planner I got was in the Candy Lace design which was personalized with my name and website. This time I went for a picture that Scott and I had done in Gatlinburg Tenn. He loves it and picked it out for this planner. He also picked it out for new customized luggage tags too. Its fun and colorful and I love it. This year the covers are removable and interchangeable which is nice. I might switch it up some with newer seasonal pictures. On the front inside cover, there is a spot to put your info in case you misplace this planner. Then there are inspirational quotes and a larger calendar layout of 2014-2015 for quick and easy reference. . The monthly layout is pretty much the same with sweet quotes at the top. You move into the weekly layout in between each month. Again the layout is the same but there are a few added pok a dots in this section! Its broke up in Morning, Day and Night which I don't use in the traditional sense. There is also room on the left side for additional notes as well as the bottom. Then there is a lot of lined paper for notes and even some beautifully designed printed pages that you can use for anything. I think the paper might actually be a gauge or so heavier with the newer life planners but I am not really sure about that. After the note section there are some pre printed sticker that come in every life planner. They give you a page alone for birthday stickers in red, pink, orange, blue and green. The second page of pre printed labels include game/in red, hair appt/ in pink, doc appt/in orange, mani-pedi/in blue, and vacation/in green. Then there are two additional blank sheets of labels for you to use in anyway you need. These use to be non removable and now in the new 2014-2015 Life Planner, you can remove them. I normally like to use this kind of labels when planning my youtube videos because I can easily move them around the calendar when I need to. Then there is a updated pocket folder that is now suppose to be more sturdy to hold items such as more lables, notes, and even the new Forget Me Not Perpetual Calendar and Contacts. This little book is a new feature included with every Life Planner.I actually have 2 because I ordered an extra one that I will explain in an updated Calendar Video in a month or two. 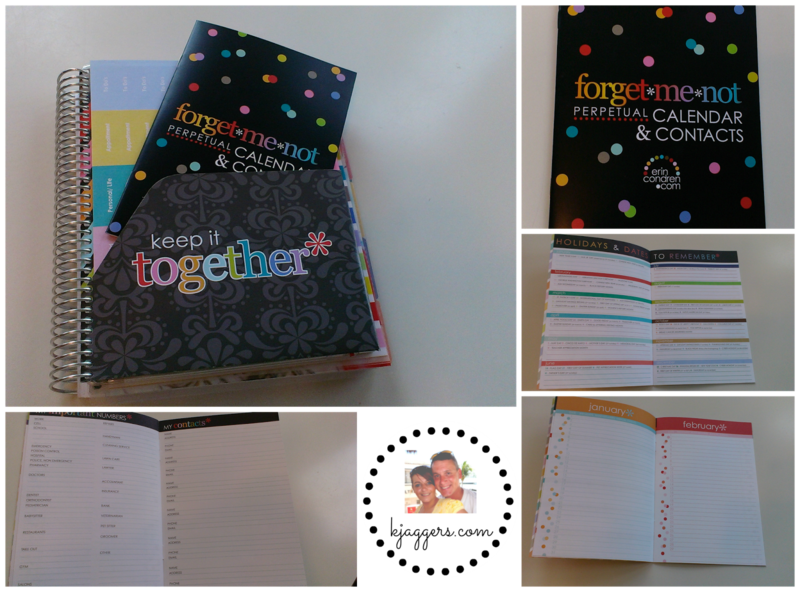 You can totally move this little book planner to planner if need be and not have to redo it every new year. I also think its a great place to keep your card list too. 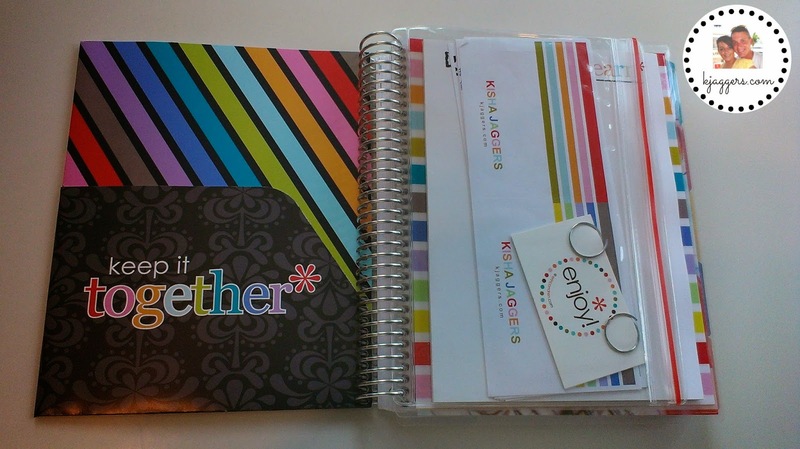 On the other side of the Keep it Together folder is a clear ziplock pouch that holds additional stickers and such that are customized with each life planner. 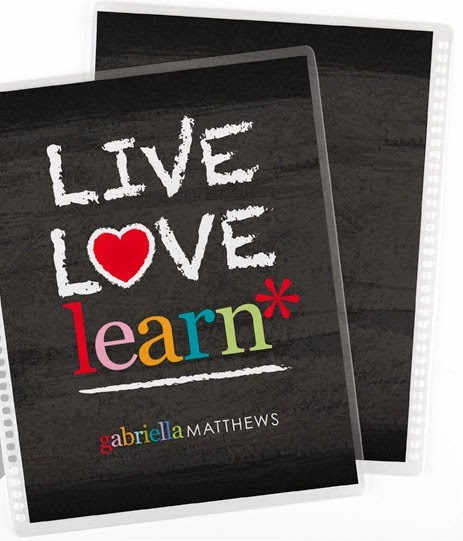 Live Love Learn Interchangeable Cover and Back Cover. Since the Covers are interchangeable, I decided to go ahead and get this one because I really loved the quote. However, I doubt I will buy anymore that are not photo customized. These are customized with your name and whatever you want but I still like a photo of us better! Now my order did get a little messed up and my new cover has not arrived yet. But when it does I will be sure to instagram a picture of the new cover. Its the same as the one above with my name and website at the bottom. The Customized Note Pads: I really like these and found I used them up pretty fast. They have little sticky squares on the back that you can stick to the back cover of the life planner ( which I do ) but they also fit well into the little pocket folder. Extra Preputal Calendar: I wanted two of these for specific reasons. These are handy little books that you can use for many years to come. Coil Clips: These are new and they just allow you to clip whatever you want inside your planner. They have a sticky side that holds whatever it is and then it clips right into the coil. LOVE THESE. I actually got 2 packs! Customizable Stickers: I had some customized stickers made to help me keep track of how I break up the weekly section of my planner. This is such a great planner. I am in total love with it. You can receive $10 off your first purchase when you sign up for the Erin Condren newsletter by simply clicking here. Who doesn't want updates from this great company!? I love getting them because it shows me the new products and designs delivered right to my inbox. Because I love it so much I am giving 2 of you lucky winners $60 Erin Condren EGift Cards that you can use towards the purchase of the new 2014-2015 Life Planner. Each planner costs about $50.. then use your $10 off coupon which will allow you a little extra for shipping and maybe an accessory. Of course you can pick out more accessories that fit your life and planner style and add to the order if you wish. I am letting this giveaway run until the end of the month so everyone has time to get entered! Just use the rafflecopter widget below to get entered. There are tons of ways and you can enter daily if you wish by leaving a comment just to up your chances! I will be back on August 1st to announce the winners. Anyone and everyone is welcome to enter. Good luck to everyone! Be sure to head back to my main youtube channel for the video announcing the winners and I will also announce them on this blog post too. If you have any questions about this giveaway just shoot me an email to mrskishajaggers@gmail.com.